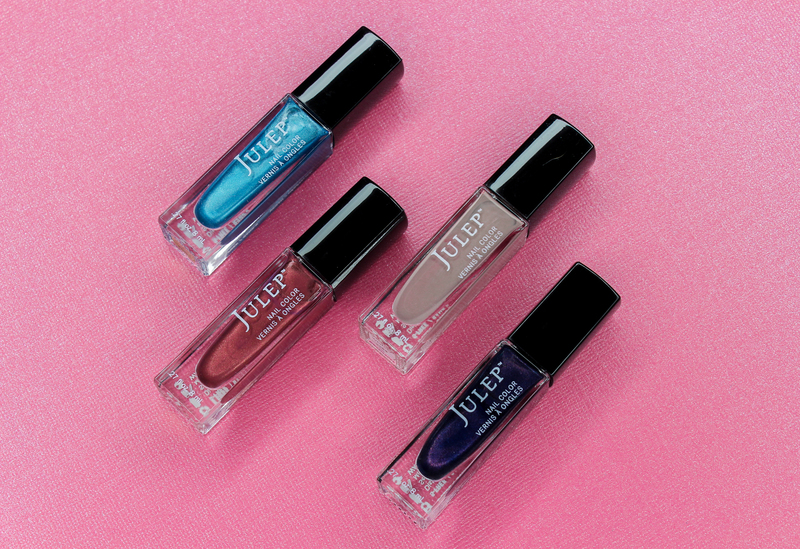 Last month Was Julep's 5th Birthday, and to celebrate they put together a special "Cheers to Five Years" collection which includes a nail polish trio, a mini eyeliner set and a mini lipstick trio that I just couldn't resist adding onto my September Julep Maven box. I also picked up four nail colors which are just perfect for fall, and a top coat that promises to be fast-drying and long wearing. I think all four of these shades are lovely new additions to my nail polish collection and I can't wait to sport them; I am especially excited about the two chromes, Acacia and Genevieve. How pretty are they?! Go The Distance Oxygen Performance Top Coat: This top coat promotes strong and healthy nail growth thanks to it's breakthrough oxygen technology that allows oxygen to actually reach the nail bed. It also creates a shiny protective seal that helps extend the wear of your nail color. I am a huge fan of Julep's top coats so I know I am going to enjoy using this one. 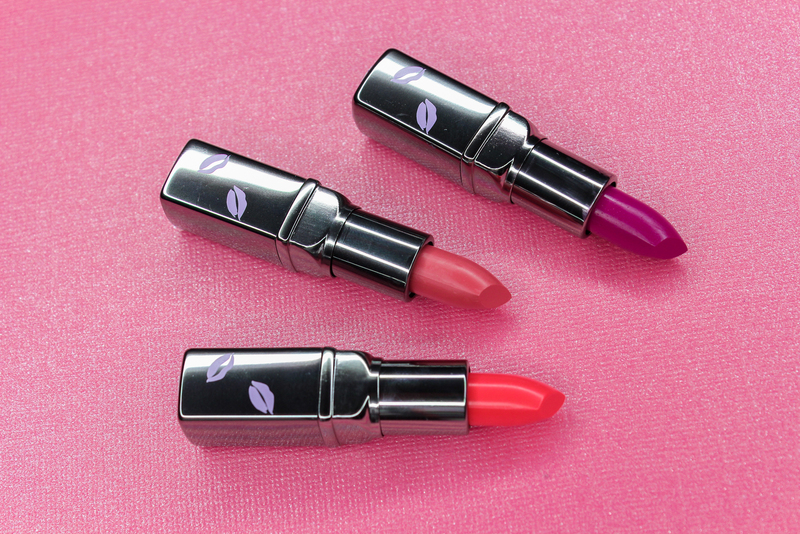 Cheers to Five Years Full-Coverage Creme Lipstick Mini Trio: These three brand new lipstick shades are fantastic. They are creamy, nicely pigmented, and they feel so comfortable and moisturizing on the lips. They are also pretty long-wearing too, since they leave behind a stain after a couple hours wear. Although these are on the brighter side, I think these are very wearable since the colors aren't overwhelmingly in-your-face. Those who want a more subdued pop of color on their lips are going to like these a lot. The colors in the set are POP (electric fuchsia), FIZZ (bright watermelon), and BUBBLY (rosy pink). To sign up for a monthly Julep Maven subscription, click here. What did you all receive in your September Julep Maven box? Disclaimer: I purchased my own Julep Maven Subscription. This post contains referral links. For more information, please visit my disclosure page.